Fuga. Ut a vellenimi, suscimustore omnia que exceaquamus, occum diciuri optatiorem volupta exere numenis ciatem quatur adi blaut prentec ernatis itaeceprat maximentibus et poritium reius et odia qui ommoluptatus dolo elluptae conse mo maiorem latemossi autae aut ut ma natur, officiis si venihic aepudipsam simin pore dolorit laborepedi quo blate cus acescitia dit ut pero iumet amus sequia sam et volorem fugitatatam nimende nisimolo. Kopupaka Reserve wins World Landscape of the Year Award 2016 & The 2017 Hynds Construction awards! ICB have undertaken numerous stages of this 2000 lot subdivision and constructed all the Steel Beam and Allan Block Walls. The walls are highly visible and form part of residential lots. Gideon Contractors contracted us to construct UB Walls, timber pole walls and Allan Block walls. The UB walls go up to 4.5 m, the timber pole walls up to 2.5 m and the Allan Block walls up to 4 m.
HEB Contractors subcontracted ICB for the construction of retaining walls in this Flat Bush subdivision in South Auckland. We built 3 timber pole walls (600 and 900 diameter), palisade walls and 2520 m of piles. The Penihana North subdivision is a medium density residential development on a 22.5 hectare block of land near the Swanson Railway Station. A combination of precast panels and steel beam walls with timber pole lagging was used in this project. UB wall with concrete deadmen. 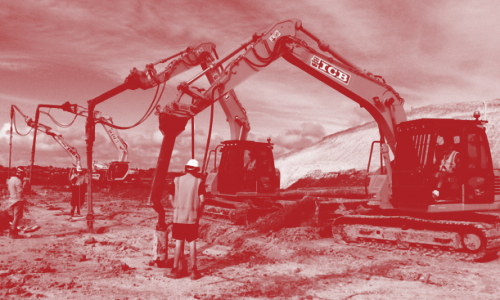 The Waterview Connection project worth $1.4b is one of the most important infrastructure developments ever to take place in New Zealand. ICB was contracted by the Well-Connected Alliance to construct a number of architectural noise walls.